From our workshop at Brd. 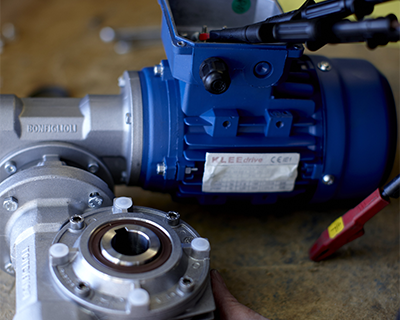 Klee we offer customized solutions such as assembly and/or customer-specific painting of gears and motors, oil filling, repairs, refurbishment of pumps, testing of gears, motors and drives, etc. In addition we cooperate with subsuppliers about customer-specific solutions. Brd. Klee is certified Bonfiglioli BEST partner. This means that we are part of Bonfiglioli Excellence Services Team which offers assembly and conversion of Bonfiglioli gear and motors from our own workshop. It gives our customers a short delivery time and allow individual solutions.